As billionaire agribusiness tycoons Stewart and Lynda Resnick and other agribusiness interests continue to dump hundreds of the thousands of dollars into Jerry Meral’s Yes on Proposition Barbara Barrigan-Parrilla, Executive Director of Restore the Delta, offers her analysis of the controversial water bond. Her critique points out three major flaws of the water bond: (1) the percentage of money allocated in the $8.9 billion dollars to help with environmental justice water community needs is a “pittance”; (2) The money in Prop 3 marked for Delta restoration is tied to the construction of the Delta tunnels; and (3) Taxpayers should not be on the hook for the needed $700 million in repairs to fix and expand the Friant-Kern Canal as earmarked in Prop 3. "Restore the Delta has been working on so many issues this year that we have not weighed in with our members on Proposition 3, the $8.9 billion dollar water bond, on the November ballot. Additionally, we did not open a PAC and lead an opposition campaign opposing Prop 3, as we did against Prop 1 in 2014, because we knew that even if we could raise the money, we didn’t have the mental/physical/spiritual bandwidth to lead an opposition campaign on top of all the other work we have undertaken this year in our advocacy to stop the Delta tunnels, and to ensure that adequate flows are restored to the Delta estuary, for all Delta communities. We can, however, make a statement evaluating Prop 3. So here we go! We don’t like it! We really, really don’t like it -- despite the fact that it does contain some needed dollars to help communities with serious water needs in the San Joaquin Valley – which makes not liking it problematic. But we still don’t like it. Our first problem is that the percentage of money allocated in the $8.9 billion dollars to help with environmental justice water community needs is a pittance. It is about 10% of the overall bond. This is the problem we see time and time again with water resource management in California. About 90% of funding in water project management goes to fund special interest water districts, industrial agriculture, and speculative developers looking for new water supplies. The projects that are needed to solve serious drinking water problems for environmental justice communities in all of California, to create regional self-sufficiency to lessen dependence on the Delta, and to protect existing water supplies, rivers, and watersheds like the Delta, continue to be grossly underfunded. To read more about these funding inequities, click here to read an excellent op-ed by Eric Parfrey, Chair of Sierra Club California. We understand why certain groups would support this bond for water challenged communities within their service areas. We get it and empathize fully. But we believe that perpetuating a water bond scheme that favors a small percentage of special interests without rebuilding California’s water system to favor 98% of water users just doesn’t work any longer. We have had 30 years of that scenario, and water management outcomes are not improving. Second, the money in Prop 3 marked for Delta restoration is tied to the construction of the Delta tunnels. It contains mitigation money for projects that water exporters are supposed to pay for to correct problems from over exporting water over the last 30 years. And it’s packed with funding for restoration projects that will not work with construction and operation of the fresh-water-depleting Delta tunnels. As long as adequate flows do not pass through the Delta to nourish the estuary, either from tunnel operations, over pumping at the current facilities, or inadequate flow releases, restoration projects will fall short to accomplish their promised goals. Why should voters throw good money after bad decision making? Third, subsidence from groundwater pumping in the South San Joaquin Valley is what has caused the Friant-Kern canal to sink and to require expensive repairs. Taxpayers should not be on the hook for the needed $700 million in repairs to fix and expand the Friant-Kern Canal as earmarked in Prop 3 after big growers damaged their own groundwater system. Don’t be fooled. The push to expand the capacity of Friant-Kern Canal and related facilities to move water around links up to plans for Kern County Water Agency to receive additional water exports from the Delta tunnels. Kern County interests want lots of new water for their desert communities from other parts of the state in order to become the proverbial oasis in the desert, sort of like Palm Springs. Remember, Kern County Water Agency, is set to contribute only about 21% of Delta tunnels funding, as the project will primarily be funded by Metropolitan Water District customers, yet KCWA maintains that their export allotments will increase dramatically. Meanwhile, Southern California environmental justice communities will be subsidizing big ag through higher water rates and property taxes for the tunnels, and, through Prop 3, will be subsidizing big ag infrastructure, while groundwater supplies in Southeast Los Angeles County remain polluted, and regional self-sufficiency water projects remain on the back burner." You have only to look at the campaign donors to Proposition 3 to understand who will benefit from it — the corporate agribusiness lobby and large, well-funded conservation organizations. Stewart and Lynda Resnick, the Beverly Hills billionaire owners of the Wonderful Company, and many of the same agribusiness interests that promote the Delta Tunnels are now funding the campaign to pass Jerry Meral’s water bond, Prop. 3, on the November ballot in California. 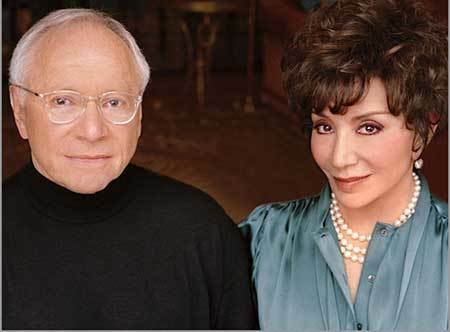 The Resnicks’ Wonderful Orchards LLC has donated $100,000 to the campaign to date. The Resnicks, who are known as the Koch Brothers of California, contribute many hundreds of thousands of dollars to candidates from both sides of the political aisle and to proposition campaigns so they can continue selling back public water to the public at a huge profit while promoting legislation and other efforts to eviscerate laws protecting fish, wildlife and water. "Why? Water," said reporter Kate Irby. No matter what proponents might claim, this bond is designed to support subsidized corporate agribusiness in the San Joaquin Valley, as evidenced by the contributors to the bond campaign and the provisions of the bond, including $1.1 billion to fix Kern County canals. The watershed restoration and fish and wildlife projects are thrown in there in an effort to fool organizations to sign onto the bond when the real purpose of the bond is to get the taxpayers to pay for projects that benefit corporate agribusiness, not the public and the public trust.